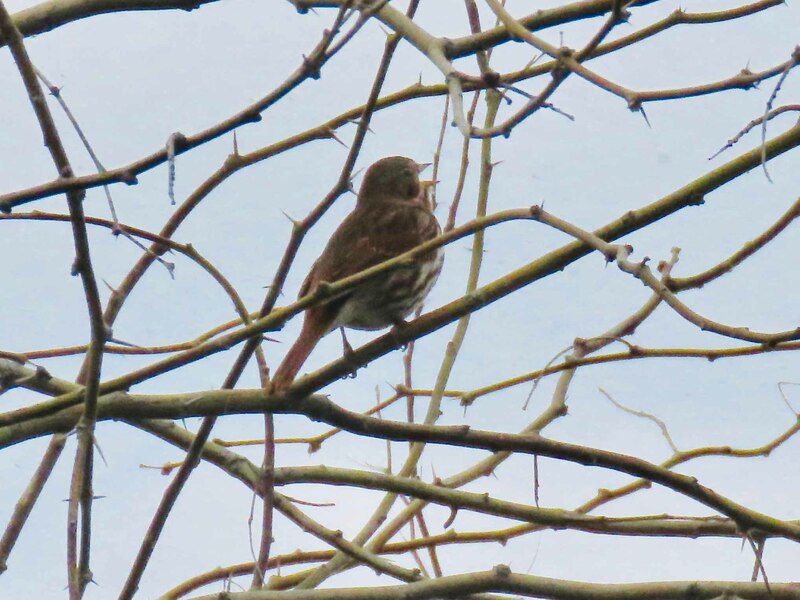 Red Fox Sparrow was removed from the review list in 2015 and is a rare fall migrant and winter visitor, primarily to the southeast portion of the state. Rufous auriculars separate the "Red" from other forms of Fox Sparrow. 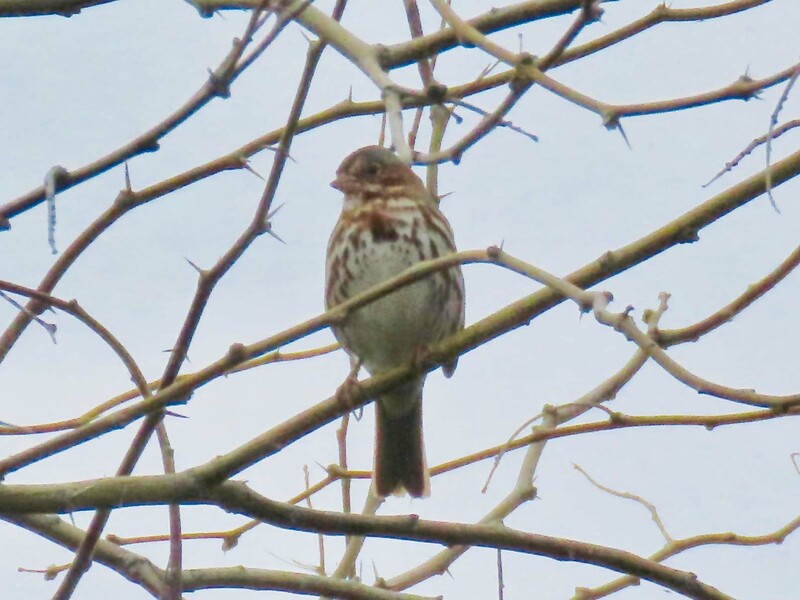 The overall bold bright rusty breast streaking & spotting (inverted 'V's ) and the bright yellowish bill base are also indicators of this subspecies group of Fox Sparrow.